The WTT record has recently gone platinum while Jay & Yeezy are enjoying an epic turn out for whats being noted as an incredibly amazing tour. Jay has had a bit of company on the road as his expectant wife Beyonce has been hitting a few cities with him! 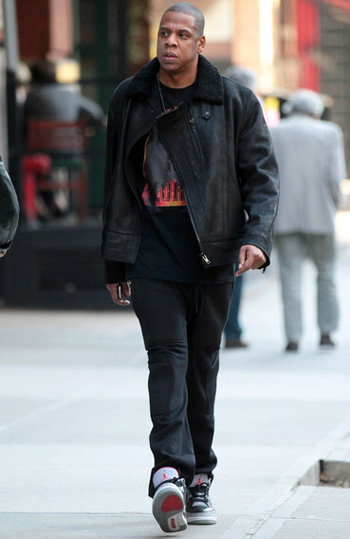 Jay rocks this Givenchy, "Jesus is Lord" shirt all of the time..starting to think its one of his faves too!